A great garden can add aesthetic appeal and even boost the value of your home, and the good thing is that you can achieve this objective whether you live in the country, the suburbs, or the city. In fact, you can even use raised beds, if where you live has little to no actual grass, to create a beautiful outdoor oasis teeming with plant life. It’ll take a lot of work on your part, but by rolling up your sleeves and getting your hands dirty, you can wind up with the sort of produce or flower garden that, with regular maintenance, sprouts back to life year after year. 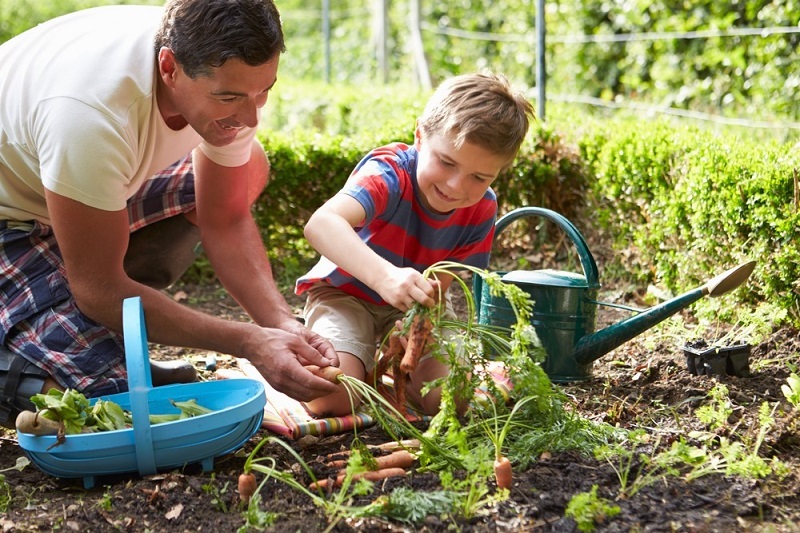 If you want to give it a try, read on for some tips on how to have your perfect home garden. It’ll definitely be worth all of the effort once your hard work yields abundant dividends. If you want the perfect garden, you need to start off right…and that means creating a plan. You’ll want to decide how big to make the garden, what to plant, and where to plant what. 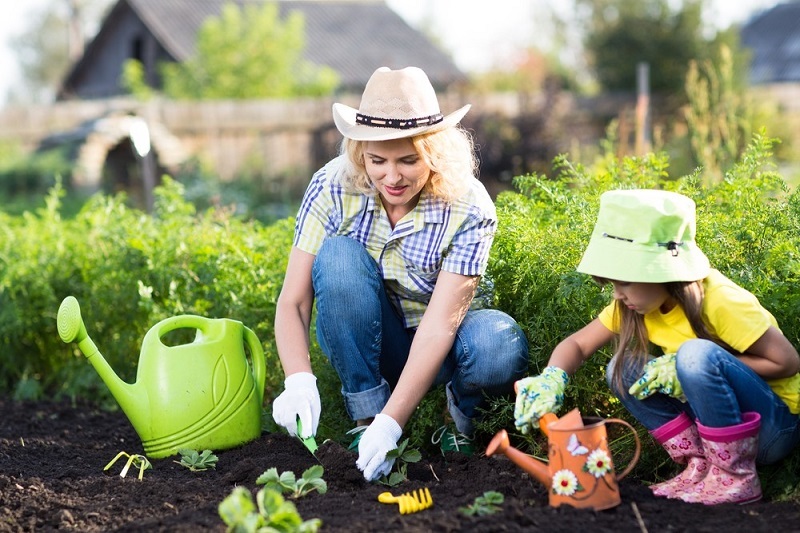 If you have lots of other commitments besides tending a garden, you’ll want to plan a garden that’s easy to maintain and that won’t eat up a lot of your time. Also look into what sorts of produce or plants are easy to grow in your specific region to create the sort of garden that the neighbors will envy. One of the most important considerations is what exactly you’re hoping to get from planting and tending a garden. Are you doing it to provide a nice outdoor space for when you have family, friends, and acquaintances over? Would the garden be a nice backdrop for a play area that your children or pets will enjoy? Are you hoping to create your own small slice of nature at a time when there’s too much concrete and too little greenery? Once you’ve figured out what you want, you can get down to the nitty-gritty of setting up the perfect garden. If you’re gardening for the first time, it’s best to start off small at first. It’ll give you a chance to experiment and to learn what works and what doesn’t, and this learning experience won’t le since the garden wave your overwhelmed since the garden won’t be humongous. Of course, you can, in years ahead, expand the garden as your confidence and skills grow. If you want to get the job done right, you need to start off with the right tools. A rototiller is a must, especially if you’re creating a garden in a section that you’ve never planted on before. Also be sure to get rakes, shovels, pruning shears, weeders, soil knives, hoes, and more. If you want the perfect garden, you need suitable soil. You can add topsoil, composted materials, and even shredded bark to help nourish your soil. So before you begin to plant anything, make sure that your soil is up to the task. If you’re planting produce, you can assume that one inch of water each week will be sufficient. Drip lines and soaker hoses represent the best ways to water your garden since they distribute water slowly and direct the water right at the roots. Pluck some bugs — one species at a time — off of the plants in your garden and place them into a cup of water. Be sure to focus on a single type of bug at this time. Empty the cup of bugs and water into your blender and blend everything up until the bugs have been thoroughly disintegrated. Put the blended liquid into a spray bottle and spray the same plants that you retrieved the bugs from. This will repel that sort of bug. Repeat this process using another specific type of bug. It’s also important that you know the best time to plant your garden. You might see gardening as a spring and summer activity, but there are things you should be doing to improve your garden year-round…yes, that even means in the cold weather season. For instance, at the conclusion of winter, you can clean out flower or vegetable beds and trim dead branches. Yes, you, too, can have the perfect home garden. The aforementioned tips will give you some guidance so that you can achieve your goal of creating the sort of garden you can be proud of.